Eduard Romanyuta jr. was born on 23 October, 1992 in the city of Ternopil, located in western Ukraine. Has started performances at the age of four. From the age of five Eduard on a regular basis appears in "Palace" Ukraine" in Kiev, where for his professional achievements has received a personal note from Ukrainian President Leonid Kuchma. In 1999-2002 participated in the "Presidential New Year celebrations", held in Kiev, giving more than 170 performances. In childhood, Eduard became the Grand Prix at the international song contest "Pearl of the South" (Ukraine), "Italian magic" (Italy), "Funny notes" (Bulgaria), I prize winner of international competitions "Song Magic" (Bulgaria), "Slavic bazarchik" (Ukraine), the winner of the Ukrainian competition: "The stars on stage," "Song Vernissage", "Sunny Scythian" and others. In total, he has on his account 3 international Grand Prix, victories in 7 international and 18 Ukrainian singing competitions. In 2000, Eduard Romanuta chaired the jury of Ukraine in the international children's song contest "Slavic bazarchik" in Vitebsk, Belarus, where he also performed as a guest.Over 5 years, together with Mikhail Poplavsky he co-hosted "Step to the Stars" children's music competition at the First National Channel of Ukraine, and for 3 years - the program "Journey to Childhood" on the channel UTR. In total on his account are more than 1,000 television appearances. In 2003, the artist released his debut album "Colors of the native land", in support of which held a grand show concert. All in all, Eduard has 4 own concert programs that include more than 50 songs. In 2004, for significant contribution to the development of musical culture of Ukraine, Eduard Romanuta was awarded by the Prime Minister of Ukraine diplomas and medals. Among his awards are the national title "Child of the Year", "Young talent" and others. Romanyuta can also boast performing together with bands "Tatu" (27 September 2013) and "Gorky Park" (7 September 2013). In 2012 Eduard took part in the show of the First National Channel "10+10", where he was performing duets with Sopho Gelovani, representative of Georgia at Eurovision 2013. 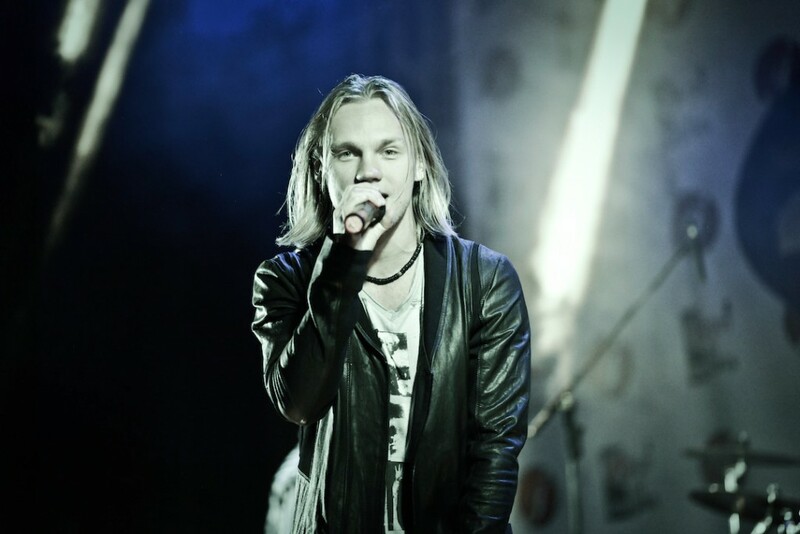 Eduard is four times participant of Ukrainian national Eurovision preselection: in 2009 he took part with "Silence" but hasn't reached finals, in 2011 he was 7th with "Berega", in 2012 - fifth with "I'll never let go" ("Cosmos Music Group", "Famous music", "19 songs") and in 2013 - 3rd with "Get Real With My Heart" ("Cosmos Music Publishing") (becoming 2nd in televote). Other popular singles of Romanyuta were: "Invincible", "Conspiracy" ("Snowflake Music Publishing"), "Betray" ("Starlab Publishing") (2012), "No Regrets", "Nightmare" ("Universal Music Publisher") (2013), "Reckless" ("Roasting House Music", "Jazzell Music" и "Wicked Night Music") (2014). Recently singer has released debut album "Conspiracy", which included 13 audiotracks and 7 music videos, most of which were directed by Kadim Tarasov from "Chupacabra Production". International songwriters from Sweden, Norway, UK, US were involved in the creation of the album. Besides Ukraine music videos of Eduard were successfully rotated in Baltic countries, charting on OETV channel, at award ceremony of which in 2011-2013 Eduard was nominated in various categories, eventually winning "Best video of the year" ("Invincible") and "Best song in foreign language" ("I'll Never Let Go"). Song "I Want Your Love" was written by an international team of authors gathered by "The Kennel" music publisher from Sweden Erik Lewander from Sweden, Hayley Aitken from Australia and Tom Andrews of UK, who had previously worked with such world stars and producers, as Britney Spears, Sarah Connor and RedOne and produced by Swedish The Kennel Productions. Lewander has also composed two entries for Swedish Melodifestivalen "Bulding it up" by JTR in 2015 and "Manipulated" by Hanna Lindblad in 2010. The track was originally prepared for participation in the later cancelled Ukrainian national selection. On the staging and choreography worked specialists from Ukraine headed by Sergey Zmeyok. However, eventually the song will be performed at the Eurovision Song Contest, but representing not Ukraine, but Moldova. "It's a shame that Ukraine will not participate in this year's Eurovision, but learning that neighbors accept participants from abroad, I decided to participate in Moldova. We have many things in common: the same musical style and the same ambition of European integration"
Before the final of the national preselection of Moldova Eduard held a massive public relations campaign, having been on TV channels TRM, RU TV, Jurnal TV, radio stations Radio Moldova Tineret, Autoradio, Aquarelle FM, performing in nightclubs "Studio Club", "Military Pub", "City Night Club", taking part in a concert in honour of Valentine's Day in the National Palace of Moldova, etc., obtaining a new audience and new fans. Initially Eduard was led to Moldova for personal reasons - for three years lasted his relationship with a girl from Chisinau - Anastasia. "I went to visit her in Chisinau. She came to our home. It seemed that this novel will have a happy ending", said Eduard. "However, last fall, I learned that my girl is getting married.... and ... not with me! At first I was shocked. Then gloomed. Then there was a depression. I did not expect such a turn. But life goes on... I pulled myself together and decided to come again to Moldova to participate in "Eurovision". Yes, I respect Nastya's choice, I wish her happiness in her family, a new life. And the song "I Want Your Love", with which I enter Eurovision, is dedicated to all unmarried girls. My heart is still open!" Eduard Romanyuta threw a bon voyage party before leaving for Eurovision 2015. 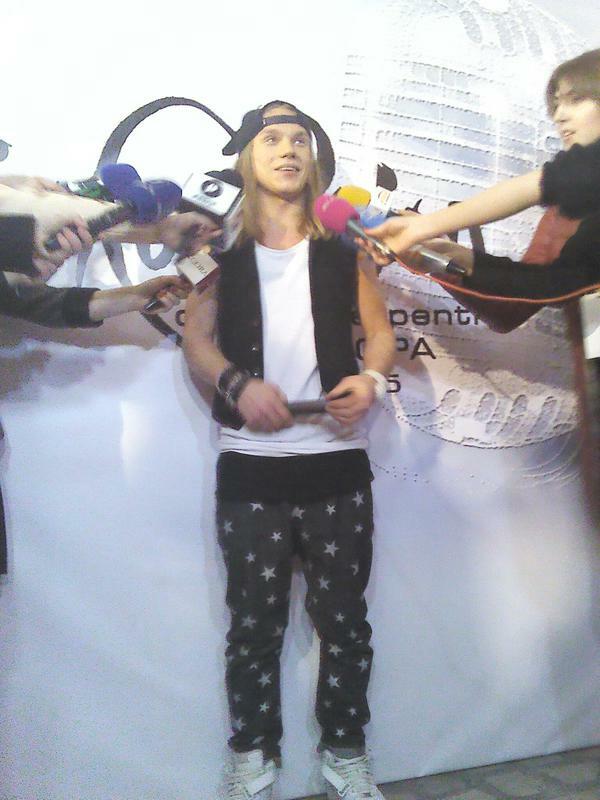 In Moldova people were bidding their farewells to the artist before him leaving for the Eurovision-2015 song contest. Despite his very packed schedule before the final performance, Eduard Romanyuta managed to free up a time for the Eurovision 2015 bon voyage party, which took place recently in Moldova. At the party, which was held to see off the artist to Eurovision 2015 song contest in a style, the artist performed before the public and sang several of his own songs, as well as the "I want your love" composition, with which he is representing Moldova at the contest. 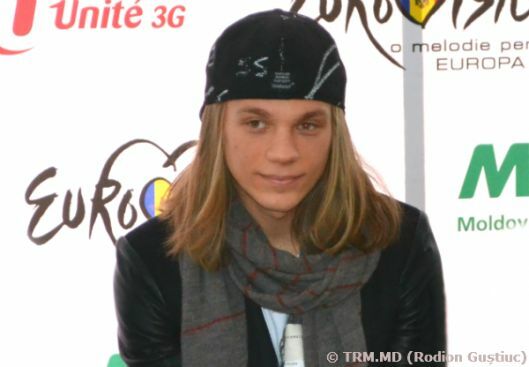 A big crowd of both – his own and Eurovision fans gathered to send off Eduard Romanyuta to the contest. The bon voyage party was organised by Austrian embassy and Moldovan television. Among the celebrities, attending the event were the past Eurovision contestants: Nelly Ciobanu, Cristina Scarlat, Olia Tira, formațiile Zdob și Zdub, Sunstroke Project. Both fans and journalists had a chance to meet and enjoy the company of Eduard as well as express their support. Romanyuta left the party in high spirits and, which is of no lesser importance, full of ardour and confidence in support of his army of fans. Moldova’s participant in Eurovision 2015 Eduard Romaniuta continues his promotional tour around Europe. The next stop is London, where 15 participants of the Eurovision 2015 international song contest from around the world and numerous participants of past years have gathered together. Before giving his performance, Eduard and his entourage did a little bit of sightseeing around London. Everybody was pleasantly surprised by arrival to London of last year’s competition winner Conchita Wurst, who not only treated the participants with a performance but also gave a few pointers to those preparing to repeat her success. Eduard performed right after Conchita Wurst, and you can only imagine how the public was electrified by his performance of I want Your Love after such a fantastic ‘opening act’. Many of the participants and guests of the show were singing along as it is simply impossible to not be touched by Eduard’s song! This time, in addition to the Eurovision entry, Eduard also performed one of his recent tracks titled Reckless, which was a perfect fit for the party in the prestigious Cafe De Paris. "I performed right after last year’s winner Conchita Wurst, and I can tell you that she is a very interesting and artistic person. After talking to her I feel stronger and I hope to deliver good results"
During his press session before the concert the singer gave an interview to BBC, the official website of the competition Eurovision.tv, as well as the largest unofficial resources: ESCKAZ, ESCXtra and others. After London the singer will continue his promotional tour in Greece. "This promotional tour is a very important experience for me. I'm not only sharing my creation with my fans from various parts of Europe but I also gained experience from other participants. I am grateful that Moldova has given me the opportunity to represent them at Eurovision, and I'm glad that I can connect Ukraine, Moldova and Europe though music and performance"
Soon, Eduard Romanyuta will be visiting Great Britain, Greece, Poland, Armenia and Macedonia. In the meantime Eduard and his team have been spending all their free time to rehearse for the main performance at the contest. Yesterday, in the central hall of the UŠĆE shopping center in the New Belgrade, OGAE Serbia has organized a promotional performances of four Eurovision 2015 participants. With fans hanging out together and great atmosphere, representatives of Serbia - Bojana Stamenov, Montenegro - Nenad Knežević Knez, Macedonia - Daniel Kajmakoski and Moldova - Eduard Romanyuta have been entertaining public. Hostess of the show young actress Ivana Stančev, first introduced the guests, and then - Nenad Pribak, president of OGAE Serbia, welcoming everyone on behalf of the organizers of events, UŠĆE Shopping Center and OGAE Serbia. Eurovision participants have talked a bit about his preparation for the biggest music show. Asked whether he is nervous because he will have to open the Eurovision Song Contest, Eduard Romanyuta responded that he does not have that feeling at all, and thinks that everything will be okay. He likes the fact that Serbs have been so open and hospitable for him, that resulted in his numerous appearances in TV and radio programs, as well as in participation in this event. In addition to the many fans who had gathered to support their favorites, there were present and a lot of the media representatives who have followed the event and interviewed performers. All fans got the opportunity to take pictures with the performers, get autographs, and promotional CDs. You can find more photos from the event on OGAE Serbia page. Representative of Moldova Eduard Romanyuta continues his European tour related to the participation in the Eurovision Song Contest 2015. After his performance at Palladium hall for Eurovision Pre-Party Riga Eduard and Moldovan delegation had time to enjoy city tour through the Old Riga. One of important sightseeing highlights there is the statue of Musicians of Bremen that stands behind St Peter's Church. It's considered good luck to rub the sculpture's noses and they can grant wishes if you touch a different part of each animal, like one of the donkey's hooves, and Eduard, of course, immediately used the opportunity to get even better luck for his Eurovision journey. Each postcard is 40 seconds long. It's first part is being filmed in participating countries and is 15 seconds long. In it viewers will be able to watch how participants of the contest get by post a special parcel from Austria. In each parcel there is a surprise which shows the activity that the artist will carry out once in Austria to film the second part of the postcard. With a help of surprise parcel and hidden inside encrypted message performers one by one are invited to Austria. Here they have to fulfill individual tasks of all kinds interacting with local hosts, on the one hand to present their land in the many different ways and on the other hand to get to know the host country better. The postcard stories include every aspect of Austrian life, from culture to sports, from economics to science and tradition to modernity. The postcards are filmed in various locations in all nine provinces to provide viewers a comprehensive picture of Austria. From Austria performer has moved to Serbia, where he has already met representative of this country Bojana Stamenov. In a very cordial meeting, that took place at the rehearsal room, where Serbian team was practising their performance, Bojana has welcomed Eduard in Serbia, and during the conversation they have managed to share their experiences related to preparations for the Eurovision Song Contest. Even though both singers will be performing at the same semifinal in Vienna, they are not regarding themselves as competitors, but on contrary share a good mood and are looking very much forward their contest appearance. We remind that OGAE Serbia and UŠĆE Shopping Center organize Eurovision party in the central hall of the shopping center on Wednesday 15 April at 18:00. Program will be hosted by Zoran Pajić. Participants: Bojana Stamenov (Serbia), Knez (Montenegro), Daniel Kajmakoski (Macedonia) and special guest Eduard Romanyuta (Moldova). Performers will present their Eurovision entries and a song of own choice, and will also reveal some details about their preparations for Vienna. After the performance, artists will chat with fans and media, signing autographs and giving interviews. Eduard Romanyuta will stay in Belgrade for two days, where he will be a guest of numerous TV (Pink TV, Happy TV) and radio stations. After that, through Vienna, the singer will reach Amsterdam, where he will take part in the traditional Eurovision In Concert party, that will gather no less than 24 participants of the competition this year. After the end of the party, singer will continue active work on his stage presentation for the contest. Moldovan Eurovision contestant Eduard Romaniuta is visiting Tbilisi as part of his Eurovision promotional tour. Among other things he has met Nina Sublatti, representing Georgia in competition of this year. Watch GPB report here. He also appeared in GPB morning show singing "I Want Your Love", giving interview and performing together with ESC 2013 entrant Sopho Gelovani Georgian song "Shavi zghva tetrad mogechveneba" (Black sea will seem white for you). Watch recording here. Listen also interview to "Rush hour" program of 1st Georgian radio (Georgian/Russian) here and watch report of Musicbox here. Representative of Moldova Eduard Romanyuta is launching his European promotional tour to support his Eurovision entry "I Want Your Love". First stop on the tour of the singer will be Georgia, and this is not a pure coincidence. In 2012 Eduard was taking part in the show "10+10" co-produced by Georgian and Ukrainian national broadcasters, where he has been performing series of duets with Sopho Gelovani, representative of Georgia at Eurovision 2013. Learning that Eduard has also been chosen as Eurovision participant, Georgian singer has agreed to show him the sunny spring Tbilisi, where Moldovan entrant will arrive on Monday, 6 April. The program of the visit of artist will include interviews to several radio stations: "Rush Hour", "Fortune", interview to "Music Box" channel, as well as participation in several broadcasts of First Channel of Georgian television. Among them will be joing live appearance together with Sopho Gelovani, who will perform with Eduard a duet, that should become surprise to the local viewers. 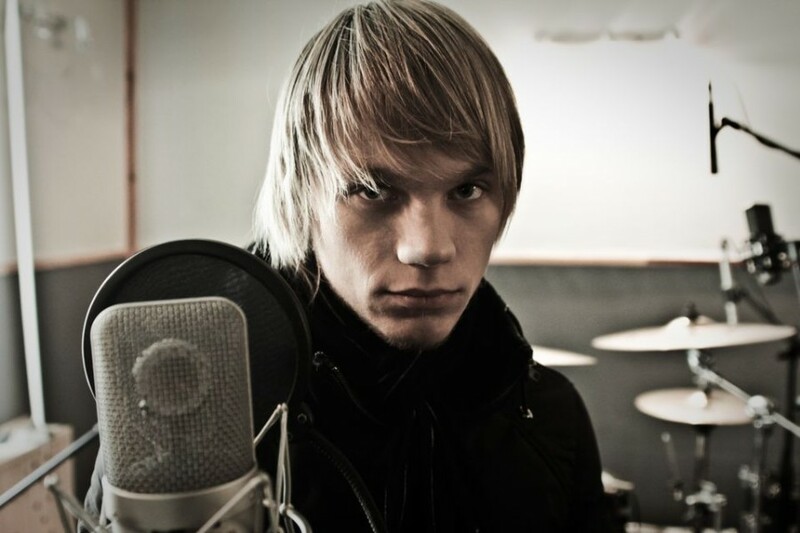 Besides Georgia, Eduard Romanyuta will be attending Eurovision pre-paries in Riga, Amsterdam, London as well as several other European countries - Serbia, Greece, Macedonia, Lithuania. 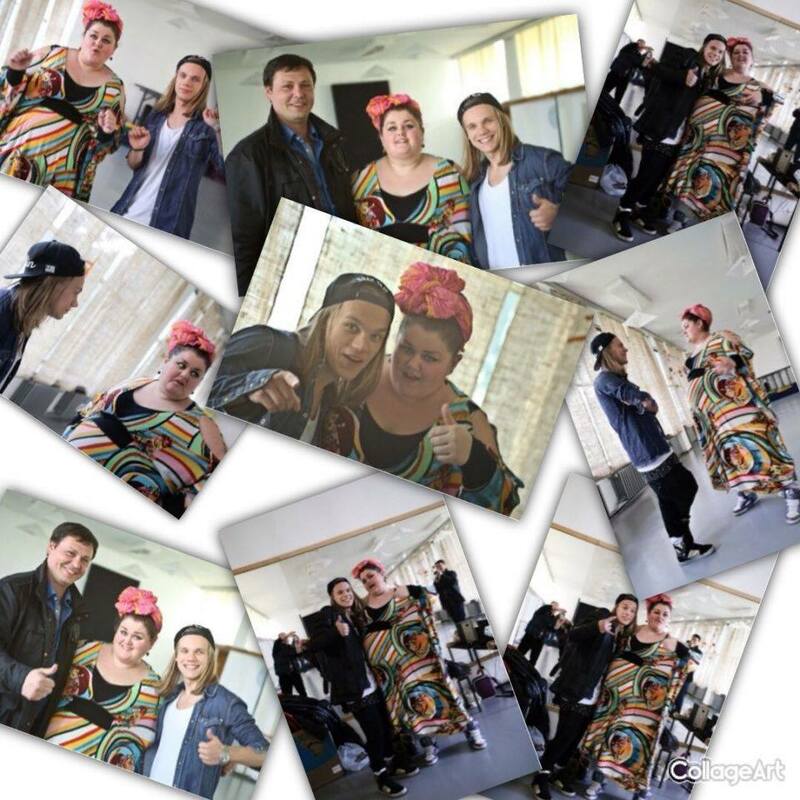 The Republic of Moldova's representative at Eurovision 2015 Eduard Romanyuta visited the orphanage in the village Congaz (Gagauzia). The artist came with gifts and performed some songs for the small children from this institution, TRM.MD reports. The children were surprised and recognized immediately the singer because they watched the national stage of Eurovision Song Contest. Eduard Romanyuta said that his father was raised in an orphanage and therefore he wanted to bring a smile on the faces of little children and some necessary products. He donated some money to buy basic things. The surprise made the children happy, as they are deprived of parental affection. "I brought things they need: sport equipment, dishes and food products. We selected them together with my father. I know that children need attention and they were glad when they saw us. I'm very happy that I came to support them ", said Eduard Romanyuta after he visited the orphanage. 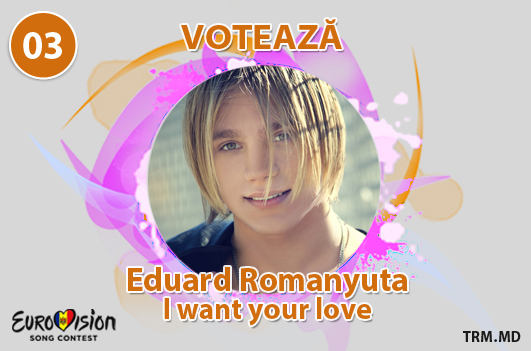 Singer Eduard Romanyuta, who will be representing Moldova with the song "I Want Your Love" at "Eurovision", hopes to win the competition and bring contest to Moldova. "My goal is not just to reach the final, but to win it and bring it to Moldova", said the singer at a press conference on Thursday. According to the draw, the representative of Moldova has received the first starting number in the semifinal, which will be held on May 19 in Vienna. "It is an honour for me - to open the 60th anniversary Eurovision song contest. Is not unusual for me to perform first. I did so at the semifinal of Moldovan preselection as well. Hopefully, number one will bring me success," - said Romanyuta. "We have already started active preparations, we're working on choreography, background graphics. We plan to go to Georgia, Armenia, Estonia, Lithuania, the United Kingdom, the Netherlands and other countries with the promotion. Of course, we spend a lot of time on rehearsals, we're doing it day and night. I hope that we show at Eurovision something that has never been seen there before, but we will not be disclosing all the secrets at the present time," said the performer. According to the singer, he hasn't yet got acquainted with other contestants of Eurovision 2015, but is sure that he will meet most of them during his scheduled tour. Romanyuta has also announced that his team decided to assume all the financial costs of participation and promotion of Moldova in this international competition, including travel expenses of the team in Vienna (Austria), and costs of the promotional tour. Artist had thanked Moldovan citizen for the support and said that he has already built the "spiritual bridge" between the two countries - Moldova and Ukraine, in full accordance with the ESC 2015 slogan "Bulding bridges". The representative of Moldova at Eurovision, Eduard Romanyuta, was filming today in Chisinau the postcard, an introduction movie that will be broadcasted during the Eurovision prior to the performance of the artist. This year, the idea of the postcard includes the packages with a magic surprise, sent by post to all of the participating countries. There are three different ORF crews working on the postcards. To Moldova has arrived team of Matthias Pötsch, who has already worked in Belarus and Azerbaijan, and that will travel to Georgia, Russia and Israel. Every postcard will be 40 seconds long. The first part of the postcard is filmed on home soil and is 15 seconds long and the second part is filmed in Austria and is 25 seconds long. Specially for Moldovan postcard was chosen the location on a street in the old center of Chisinau and a door of a house with a special architecture. It is worth to mention that the parcel Eduard has got was probably the biggest among all Eurovision participants. 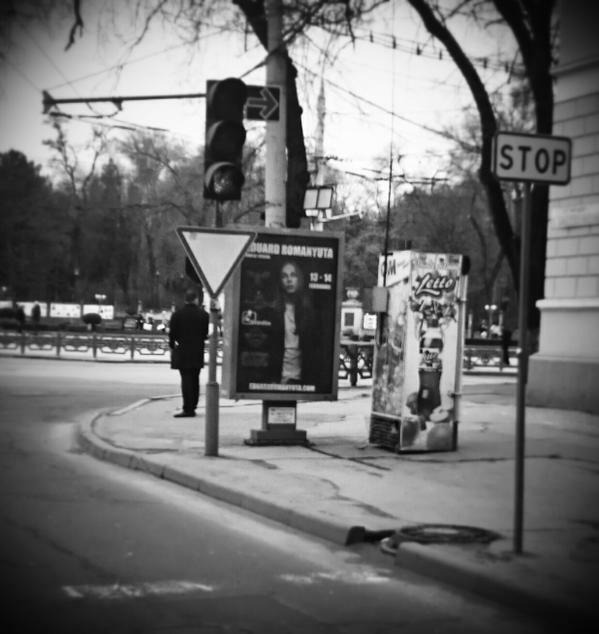 The second part of the video will be filmed in Vienna in mid-April. But the idea is still kept secret by the organizers and the general public will learn about it only during semi-finals in May. Watch short backstage videos from postcard filming here and here. Walking around the downtown of Chisinau Eurovision Fan Club Moldova has spotted Eduard Romanyuta driving a retro car - blue Pobeda. According to the report, performer can easily be spotted in the city in the following days, so fans are able to meet and greet him, getting pictures and signatures of the singer. "Of course, I could not foresee that Moldovan artists would be so unhappy with my victory. But there are certain regulations, and one needs to learn how to loose as well. It is now that I had reached the first place, but before that in the Ukrainian national selection for example I could have been seventh. But it so happened that this time in Moldova, I was the best,", says Eduard Romanyuta, winner of the selection in an interview with KP. "For me, the victory was the result of hard work of a whole team of professionals. Success - is not only my merit, but also of all those who have worked with me. And, yes, I do not care what people say about me - I am happy that I will represent Moldova at Eurovision! And now in front of me stands a different task - to improve my presentation in such a way, to polish every detail to adequately represent your country in Austria. Therefore, I wish good luck to myself, and I would like to feel the support of the Moldovan artists as well, because we make common cause, promote Moldova's image abroad. After all, we are now at the same boat - we are for Moldova! Our doors are open for everyone in terms of advice, in terms of adjustments. We are ready to listen to the advice of professionals. I think that it is impossible to ignore the opinion of Moldovan experts. Now it is my duty. The choice of the audience and the jury (if not all of them) fell on me. And I wish that I live up to the expectations. You have my word that I will try my best! To the limits and even beyond!" Moldovan manager of Eduard Alexandr Rusu calls behavior of Moldovan contestants after qualifying round disrespect and hysteria. "We did not expect such an attitude. And I think that it does not paint our artists well, especially males, who after learning about the victory of Eduard, met him on the exit from greenroom with a grunt: Ooh-oo-oo-oo... Those who wanted to speak, could safely approach the artist, me and talk about it honestly. All their accusations, it's an empty reasoning! I can also wonder how it happened that the performer in the semifinals had, for example, 30 votes, and at the end of final - 3000: how one can get a hundred times increase? But I do not, because I have something else important to do. And I know that behind our artist stands the whole team of professionals - both from Moldova and Ukraine. And we've been working all this time, while Moldovan artists were relaxing. And we have achieved recognition of our artist in Moldova. And if in the first semi-final for us voted only about three thousand people, in the final it was four times more - 12 thousands. But not multiplied in hundred times! Someone wrote in social networks: "Our artists mostly work at weddings, and then in between appear at "Eurovision". I partly agree. Because you need to work greatly with the artist. This is exactly what we have done, and got the result". After the national final number of it's participants have expressed a negativity against the winner Eduard Romanuta. Singer was accused not only in the fact that he won in Moldova being a citizen of Ukraine, but also in the fact that being a new artist in the country, he was able to score a record number of SMS votes at the national selection. Prior to the final three artists managed by Sergey Orlov (Lidia Isac, Glam Girls and Sun Stroke Project) told their fans that they do not recommend to spend money and send SMSes, because televoting result is already a foregone conclusion. To some of others results of jury voting, which put Eduard on second place, also seemed strange: for example, Eduard got 12 points from Andrei Sava (in the semifinals 7), Zinuţa Julea, Iurie Badicu, Adrian Beldiman, 10 gave Dumitru Miller (in the semi-finals 4), and less than 5 points Eduard got from Ghenadie Ciobanu and Stefan Petrache, who were not part of the jury at the semi-final, and also Serge Kino. No concrete facts or evidence of possible violations of the rules of the qualifying round, however, have been demonstrated, and at the post show talk jury members tried to defend their choice, deciding that after 10 attempts with Moldovan artists, it was exact time to give the opportunity to express themselves also to popular foreign performers who want to defend the colors of Moldova at the Eurovision. 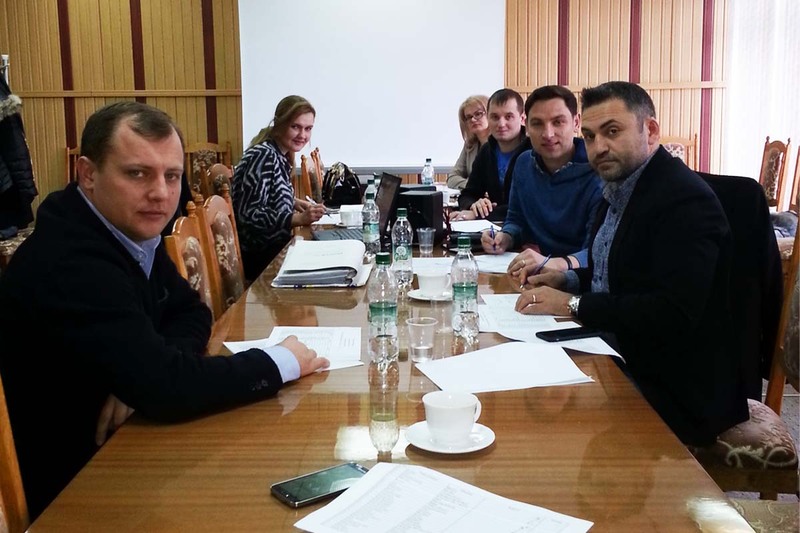 Sergey Yalovitsky, Sun Stroke Project: "I can not imagine how person from Ukraine will stand with the Moldovan flag and will be saying, I'm representing Moldova"
Dana Marchitan: "Can this be decision from above to support Ukraine?" Doinita Gherman: "I do not want to wish good luck to the winner. I always asked for justice, we have a lot of own good singers"
Serge Kuzenkoff: "I think that Romanuta is not a suitable singer for Eurovision. His votes are bought! Moldova has nothing to do in Europe with such cases"
Valeria Paşa: "I find it very strange that so many spectators from Moldova have suddenly voted for the Ukrainian"
Miss M (Anastasia Ursu): "What surprises me - is that why jury voting in the final was so different from the semifinal, as if they laid all the cards at the end, to make fools of us? I feel so sorry that our country was humiliated. It's a big shame"
Pasha Parfeni: "It is obvious that everything has been bought... Sorry. I'm ashamed. It is not so important, that he was a Ukrainian - but that everything is corrupt"
Producer Sergey Orlov: "It's funny, that rich Moldova, will now sponsor Ukrainian participation at the Eurovision - this is a cool option!" On the other hand, in the Moldovan media have also appeared materials to support the Ukrainian artist. For example, portals locals.md and allfun.md published articles defending the singer: "Contest rules do not prohibit the participation of foreigners. Somehow, in sport we are not so scrupulous - different national teams are purchasing players of different nationalities as much as one has the money. Compliance with the rules was the most transparent: all the judges announced and explained their verdict live on the air, and from the same telephone it was impossible to vote more than 10 times. The winner brings youth, beauty and charisma - as it should be. The guy born in 1992 already has a video with million of views on Youtube! It is worth to pay tribute also to the PR agents of Romanyuta: billboards throughout the city and active promotion in local clubs and the media. The other participants were forgotten compared to the massive PR campaign of Eduard. Many people believe that everything was bought. But maybe just not all local entrants have been prepared for competition as good as foreign artist who seriously prepared for his presentation in other country? 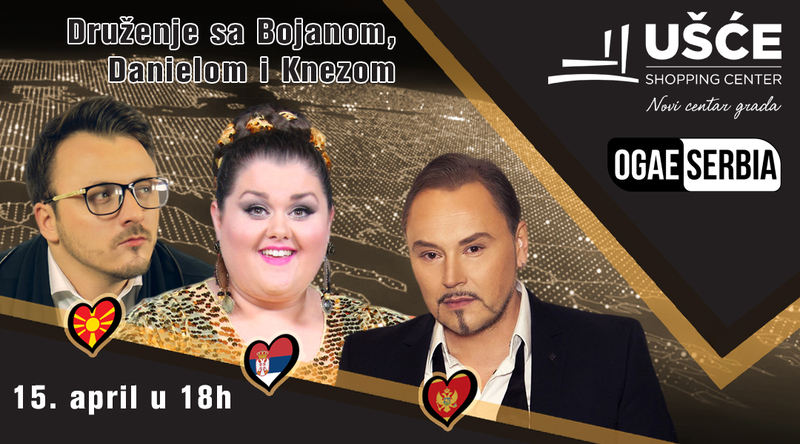 National Moldovan preselection "O melodie pentru Europa" includes 2 semi-finals on 24 and 26 of February and a final on 28 February 2015. Shows are hosted by Evelina Vârlan (1st semi)/Gloria Gorceag (2nd semi)/Olivia Furtună (Final) and Sergiu Bezniţchi with Sandu Scobioală and Daniela Babici reporting from Greenroom. Submission period was open from 15 October to 15 December 2014. For the first time, Moldovan preselection regulations did not prohibit international artists to apply. Artists could submit more than 1 song, however, if they are chosen as a semi-finalist with more than 1 song, the artist has to choose the entry to continue with in the competition. 68 entries were received by the broadcaster. Among these were songs from 24 foreign artists from 10 countries: seven from the United Kingdom, two each from Russia and Italy, one each from Belarus, Canada, Cyprus, Ireland, Norway, Romania, Spain and Ukraine. Out of the 68 entries that were received, on 17 December 50 were shortlisted to compete in the audition round, based on criteria such as the quality of the melody and composition, vocals and manner of the performance and the originality of the song. From Moldovan artists can be mentioned participation of such national final veterans as Sun Stroke Project, Serj Kuzenkoff, Doinita Gherman, Valeria Pasa, Edict, Glam Girls, Cezara, Carolina Gorun, Dana Marchitan and others. Among acts failing to pass through to the second round were: zombie-band Sweet Brains with their song that failed to qualify to Belarus national final, Norwegian Knut-Øyvind Hagen, Greek singer living in UK Eirini P, one more reject from Swiss NF - Threelorex from Spain, Rebecca Lomas from UK, Nash Milani from Canada and regular reject of Moldovan NF Sasha Bognibov who tried this year with 2 entries. Draw for the semifinals took place on 29 January, at 11:00. Prior to the national selection all participants are appearing in TRM program "Cine vine la noi?" and you can watch their interviews here. 12 semi-finalists will compete in each semi-final on 24 and 26 February 2015, starting at 19.45 and broadcasted on Moldova 1, Radio Moldova, Radio Moldova Tineret and online at trm.md. Contest fans are also invited to vote online for their favourites, even though this vote will have no influence on the show outcome. On 7 February band Edict announced it's withdrawal from the national selection due to the different commitments in Romania, and was replaced by Anişoara Volînschi. Stage design for the national final has been presented on 17 February. According to organizers, this year there were prepared three LED surfaces: one for the background, the second for the top circumference and the third for the podium of the stage. This will have a width of 13 meters, a depth of 10 meters and height of 0.6 meters. The props on the stage may have dimensions of maximum 2.5 meters and a weight of 250 kg. Installation and removal of the props of each participant should be done in maximum of 40 seconds. On 21 and 22 February 2015 at 15:00, Youth Radio Moldova (RMT) organizes "Marea Eurovision-eală" parties with participants of the national preselection, where fans can meet and greet singers, take pictures with them and listen live acoustic versions of their songs. There also will be special quizes devoted to Eurovision knowledge and other fun events. Programs will be hosted by Sandu Scobioală and Florin Mihailov and broadcasted on Youth Radio Moldova and online on trm.md. Эдуард Эдуардович Романюта родился 23 октября 1992 года в живописном городе Тернополе в западной части Украины. Творческой деятельностью начал заниматься с четырехлетнего возраста. Уже в возрасте пяти лет Эдуард выступает во "Дворце "Украина" в г.Киеве, где за профессиональные достижения его лично отмечает Президент Украины Л.Кучма. В 1999-2002 годах участвует в "Президентских Елках", проводимых в Киеве, дав свыше 170 выступлений. В детском возрасте Эдуард становится обладателем Гран-при международных песенных конкурсов: "Жемчужина Юга" (Украина), "Итальянская магия" (Италия), "Веселые нотки" (Болгария), лауреатом I премии международных конкурсов "Песенная магия" (Болгария), "Славянский базарчик" (Украина), победителем всеукраинских конкурсов "Звезды на сцену", "Песенный вернисаж", "Солнечный Скиф" и др. Всего на его счету 3 международных Гран-при, победы на 7 международных и 18 всеукраинских песенных конкурсах. В 2000 году Эдуард Романюта председательствовал в жюри от Украины в международном детском песенном конкурсе "Славянский базарчик" в Витебске, Беларусь, где выступил и в качестве гостя. На протяжении 5 лет вместе с Михаилом Поплавским вел "Шаг к звездам" детский музыкальный конкурс на Первом национальном телеканале Украины, и целых 3 года — программу "Путешествие в детство" на канале УТР, а всего на его счету более чем 1000 телевизионных эфиров. В 2003 году артист выпускает свой дебютный альбом "Краски родной земли", в поддержку которого проводит грандиозный шоу-концерт. Всего на счету Эдуарда 4 собственных концертных программы, включавшие свыше 50 песен. В 2004 году, за весомый вклад в развитие музыкальной культуры Украины, Эдуард Романюта был награжден Премьер-министром Украины грамотой и медалью. Среди его наград есть национальные титулы "Ребенок года", "Юное дарование" и др. В активе Романюты также выступления на одной сцене с группами "Тату" (27 сентября 2013 года) и "Парком Горького" (7 сентября 2013). В 2012 году Эдуард принимал участие в шоу Первого Украинского канала "10+10", где исполнял дуэты с Софо Геловани, представительницей Грузии на Евровидении 2013. Эдуард - четырехкратный участник украинского отбора "Евровидения": в 2009 году он дебютировал на нем с песней "Silence", но не вышел в финал, в 2011 году он стал седьмым с песней "Берега", в 2012 - пятым с "I'll never let go" ("Cosmos Music Group", "Famous music", "19 songs") и в 2013 году - третьим с "Get Real With My Heart" ("Cosmos Music Publishing")(став 2м по голосованию зрителей). Видеоклип на данную композицию был отснят компанией "Hollywood World Studious" в Лос-Анджелесе, Калифорния, США. Другими популярными синглами исполнителя стали "Invincible", "Conspiracy" ("Snowflake Music Publishing"), "Betray" ("Starlab Publishing") (2012), "No Regrets", "Nightmare" ("Universal Music Publisher") (2013), "Reckless" ("Roasting House Music", "Jazzell Music" и "Wicked Night Music") (2014). Недавно артист выпустил дебютный альбом "Conspiracy", в который вошли 13 аудиотреков и 7 видеоклипов в основном работы режиссера Кадима Тарасова из "Chupacabra Production". В создании этого альбома приняли участие международные авторы из Швеции, Норвегии, Великобритании, Америки. Помимо Украины, видеоклипы Эдуарда успешно ротировались в Прибалтике, войдя в чарты телеканала OETV, на котором в 2011-2013 годах Эдуард был также номинирован на ряд премий, одержав победы в категориях "Лучшее видео года" ("Invincible") и "Лучшая песня на иностранном языке" ("I'll Never Let Go"). В свои 22 года певец является независимым артистом, со своим собственным лейблом. Параллельно с творческой деятельностью успешно получает полное высшее образование и два диплома Магистра с отличием. В настоящее время – работает над кандидатской диссертацией - Международная конкуренция налоговых систем и политика налогообложения Украины в контексте Евро интеграции. Композиция "I Want Your Love" была написана международной группой авторов шведского паблишера "The Kennel": Erik Lewander из Швеции, Hayley Aitken из Австралии и Tom Andrews из Англии, которые ранее работали с такими мировыми звездами и продюсерами, как Бритни Спирс, Сара Коннор и RedOne, спродюсирована шведской компанией The Kennel Publishing. Левандер также является автором двух треков шведского Мелодифестивалена: "Bulding it up" группы JTR в 2015 и "Manipulated" Ханны Линдблад в 2010. Песня первоначально готовилась для участия в отмененном впоследствии украинском национальном отборе. Над постановкой номера работали специалисты по хореографии из Украины во главе с Сергей Змейком. Однако, в итоге песня прозвучит на Евровидении, но не от Украины, а от Молдовы. "Очень жаль, что Украина не примет участия в конкурсе в этом году, но, узнав, что наши соседи допускают участие иностранцев, я решил выступить в Молдове. Между нами есть много общего: одинаковые музыкальные вкусы и стремление к Европейской интеграции." Перед финалом национального отбора Молдовы Эдуард провел массированную пиар-кампанию, побывав на телеканалах RU TV, Jurnal TV, радиостанциях Radio Moldova Tineret, Авторадио, Aquarelle FM, выступив в ночных клубах "Studio Club", "Military Pub", "City Night Club", приняв участие в концерте в честь Дня Святого Валентина в Национальном Дворце Молдовы и пр, получив новую аудиторию и новых поклонников. В Молдову Эдуарда привели личные причины - три года длился роман певца из Тернополя с девушкой из Кишинева — Анастасией. "Я ездил в гости к ней в Кишинев. Она приезжала к нам домой. Казалось, что у этого романа будет счастливый конец", рассказывал Эдуард. "Однако, прошлой осенью я узнал, что моя девушка выходит… замуж. И … не за меня! Я сначала испытал шок. Потом уныние. Потом случилась депрессия. Я не ожидал такого поворота. Но жизнь продолжается… Взял себя в руки и решил приехать еще раз в Молдову, чтобы участвовать в "Евровидении". Да, я уважаю выбор Насти, желаю ей счастья в ее семейной, новой жизни. И песню "I Want Your Love", с которой выступлю на Евровидении, посвящаю всем незамужним девушкам. Ведь мое сердце открыто!" В очень плотном графике перед финальным выступлением Эдуарду Романюте удалось выкроить время на вчеринку-проводы "Евровидение 2015", которая состоялась на днях в Молдове. 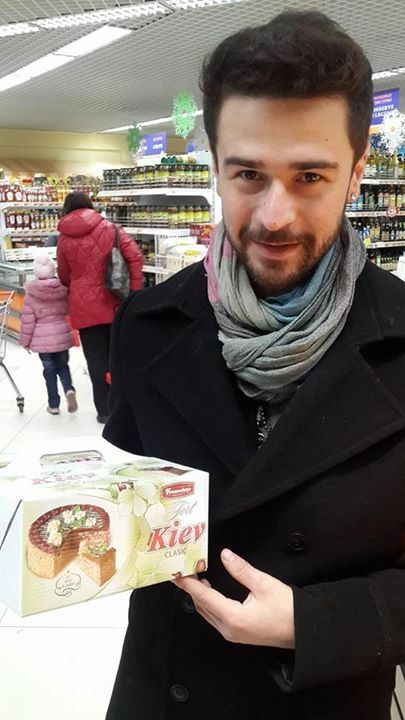 На вечеринке, посвященной проводам артиста на песенный конкурс "Евровидение 2015", артист выступил перед публикой и исполнил несколько своих песен, а также композицию "I want your love", с которой он будет представлять Молдову. Провести Эдуарда Романюту пришло огромное количество поклонников конкурса и фанатов непосредственно Романюты. Организовали вечеринку-проводы посольство Австрии и телевидение Молдовы. Также мероприятие посетили участники песенного конкурса «Евровидение» прошлых годов: Nelly Ciobanu, Cristina Scarlat, Olia Tira, formațiile Zdob și Zdub, Sunstroke Project. Поклонникам и журналистам удалось пообщаться с Эдуардом и выразить свою поддержку. Романюта ушел с вечеринки в приподнятом настроении и, что немаловажно, с боевым азартом и уверенностью в поддержке своей армии фанатов. Представитель Молдовы на "Евровидение 2015" Эдуард Романюта продолжает ездить с промо-туром по городам Европы. И на очереди у артиста - Лондон. В столице Великобритании собрались 15 участников международного конкурса "Евровидение 2015" из разных уголков мира и множество гостей из числа участников шоу прошлых лет. Перед своим выступлением Эдуард и его сопровождавшие немного успели осмотреть Лондон и некоторые его достопримечательности. Приятным сюрпризом для всех стал приезд в Лондон победительницы прошлого года - Кончиты Вурст, которая не только выступила перед участниками, но еще и дала советы тем, кто только готовится пройти по ее стопам. В конкурсной программе Эдуард выступал сразу после выступления Кончиты Вурст. После такого разогрева представитель Молдовы смог зажечь зал своей конкурсной песней "I Want Your Love". Многие участники и гости шоу подпевали Эдуарду, ведь его трек для Евровидения никого не оставляет равнодушным! Помимо конкурсной песни, на этот раз Эдуард представил всем собравшимся также и еще один свой недавний трек - "Reckless", атмосфера которого, как нельзя лучше подошла для вечеринки в престижном клубе "Cafe De Paris". "Я выступал сразу после прошлогодней победительницы Кончиты Вурст. Могу сказать, что она - очень интересный и творческий человек. Пообщавшись с победителем прошлого года, во мне появились новые силы и я рассчитываю показать хороший результат"
В рамках пресс-сессии перед концертом, конкурсант дал интервью британской телекомпании BBC, официальному сайту конкурса Eurovision.tv, а также крупнейшим неофициальным ресурсам: ESCKAZ, ESCXtra и др. После Лондона певец продолжил свое промо-турне пребыванием в Греции. Совсем скоро в столице Австрии состоится самое ожидаемое событие года – 60-й юбилейный конкурс «Евровидение». Молдову на главном шоу европейского континента представит украинский исполнитель – Эдуард Романюта, поэтому поддержка у молодого певца будет из разных уголков Европы. Чтобы представить свою конкурсную песню странам-участницам и познакомиться с поклонниками, Романюта отправился в промо-тур по городам Европы. Артист уже посетил половину стран из запланированного тура, а их - 10! "Такой промо-тур очень важный опыт для меня. Я не просто знакомлю со своим творчеством поклонников из разных уголков Европы, но еще и набираюсь опыта от других участников конкурса. Также очень хочется поблагодарить Молдову за шанс, который она мне предоставила. Я рад, что могу еще больше сблизить Украину, Молдову и Европу в музыкальном и культурном плане"
Впереди у Эдуарда Романюты еще 5 стран (Великобритания, Греция, Македония, Армения и Польша), а все время в промежутке между поездками Эдуард и его команда уделяют на подготовку своего конкурсного номера для сцены в Вене. Вчера в главном зале торгового центра UŠĆE в Белграде прошла вечеринка ОГАЕ Сербии, на которой собрались четыре конкурсанта Евровидения 2015. Поклонники конкурса получили возможность пообщаться в теплой атмосфере и познакомиться с представителями Сербии Бояной Стаменов, Черногории - Ненадом Кнежевичем Кнезом, Македонией - Даниелем Каймаковски и Молдовой - Эдуардом Романютой. Ведущая шоу, молодая актриса Ивана Станчев, представила гостей и президента ОГАЕ Сербии Ненада Прибака, поприветствовав всех собравшихся от лица организаторов вечера - торгового центра UŠĆE и ОГАЕ Сербии. Участники Евровидения немного рассказали о своей подготовке к крупнейшему музыкальному шоу года. На вопрос, нервничает ли он из-за того, что ему придется открывать весь конкурс, Эдуард Романюта ответил, что совершенно не испытывает подобных чувств, и уверен в том, что все будет в порядке. Ему очень понравилось гостеприимство и радушие сербов, что отразилось в приглашениях принять участие в различных телешоу и радиопрограммах, а также выступить в данном концерте. В дополнение ко многим поклонникам, которые пришли поддержать своих фаворитов, на концерте присутствовало и множество представителей СМИ, которые следили за выступлениями и взяли интервью у исполнителей. Все фанаты также получили возможность сфотографироваться с конкурсантами, получить автографы и промо-диски. Дополнительную фотогалерею с вечера вы можете найти на сайте ОГАЕ Сербии. Представитель Молдовы Эдуард Романюта продолжает свое Европейское турне перед началом конкурса Евровидение 2015. После своего выступления в зале Палладиум на ежегодной вечеринке Eurovision Pre-Party Riga Эдуард и делегация Молдовы получили возможность познакомиться со Старой Ригой. Одной из наиболее интересных ее достопримечательностей является памятник Бременским музыкантам, расположенный позади Церкви Св.Петра. Считается, что потереть носа "музыкантам" приносит удачу, а если дотронуться до различных частей каждого из животных, например копыт осла, то могут сбыться все желания. Конечно же, Эдуард немедленно воспользовался возможностью привлечь к своему пути на Евровидение еще большую удачу. Каждая видео-открытка длится 40 секунд. Первая ее половина снимается в странах-участницах, и она длится 15 секунд. В ней зрители смогут увидеть, как участник конкурса получает по почте некую бандероль. В каждой бандероли содержится сюрприз, который рассказывает о том, чем артисту придется заняться в Австрии во время съемок второй половины сюжета. При помощи бандероли-сюрприза и спрятанного в ней загадочного послания, исполнители один за другим приглашаются в Австрию. Здесь, взаимодействуя с местными жителями, им предстоит выполнить различные индивидуальные задания, которые направлены как на то, чтобы участник конкурса смог представить как можно шире свою собственную страну, а с другой стороны, как можно ближе познакомился со страной-организатором. Сюжетные истории открыток включают в себя каждый аспект австрийской жизни, от культуры до спорта, от экономики до науки, от традиции до современности. Открытки снимаются в различных частях страны, чтобы жители смогли получить как можно более разнообразную картину Австрии. Из Австрии исполнитель отправился в Сербию, где уже успел встретиться с представительницей этой страны Бояной Стаменов. В очень радушной встрече, которая прошла в репетиционном зале, где работает сербская команда, Бояна поприветствовала Эдуарда в Сербии. Во время разговора они смогли поделиться впечатлениями, связанными с подготовкой к конкурсу. Несмотря на то, что оба исполнителя будут выступать в одном полуфинале в Вене, они не рассматривают друг друга в качестве конкурентов, а разделяют хорошее настроение, и с нетерпением ждут своего выступления на шоу. Напомним, что ОГАЕ Сербия и торговый центр UŠĆE Shopping Center организуют вечеринку Евровидения, которая пройдет в центральном зале торгового центра в среду, 15го апреля в 18:00. Ведущий программы Зоран Пайич. В нем принимают участие: Бояна Стаменов (Сербия), Кнез (Черногория), Даниель Каймакоски (Македония) и специальный гость - Эдуард Романюта (Молдова). Исполнители представят свои конкурсные песни, а также другую песню по выбору, и расскажут о некоторых деталях своей подготовки к Вене. После выступлений, артисты пообщаются с поклонниками и СМИ, подпишут автографы и дадут интервью. Эдуард Романюта пробудет в Сербии 2 дня и станет гостем ряда ТВ (Pink TV, Happy TV) и радиостанций. После этого, транзитом через Вену, певец отправится в Амстердам, где примет участие в традиционной вечеринке Eurovision In Concert, которая в этом году соберет не менее 24 участников конкурса этого года. После ее завершения певец продолжит дома активную работу над подготовкой своего сценического номера для конкурса. Представитель Молдовы на Евровидении этого года посещает Тбилиси в рамках своего промо-тура. Он встретился с представительницей Грузии на конкурсе этого года Ниной Сублатти. Репортаж грузинского телевидения вы можете увидеть здесь. Также Эдуард принял участие в утреннем шоу телеканала GPB, где представил свою песню "I Want Your Love", дал интервью и выступил в дуэте с участницей Евровидения 2013 Софо Геловани и композицией "Shavi zghva tetrad mogechveneba" (Черное море будет казаться тебе белым). Запись можно увидеть здесь. Также вы можете прослушать интервью программе "Час пик" Первого грузинского радио (на грузинском-русском языках) здесь и увидеть репортаж канала Musicbox здесь. Представитель Молдовы Эдуард Романюта приступил к началу небольшого Европейского турне в поддержку своей конкурсной песни "I Want Your Love". Первой остановкой в туре станет Грузия, и это не случайно. В 2012 году Эдуард принимал участие в совместном шоу украинского и грузинского телевидения "10+10", где исполнял дуэты с Софо Геловани, представительницей Грузии на Евровидении 2013. Узнав о том, что Эдуард также стал участником Евровидения, грузинская певица любезно согласилась показать ему солнечный весенний Тбилиси, куда певец и отправится в понедельник, 6 апреля. В программу пребывания артиста в Грузии входят интервью нескольким радиостанциям: радио "Час Пик", радио "Фортуна", интервью для телеканала "Music Box", а также участие в ряде передач Первого Канала Грузинского телевидения. В том числе запланирована и встреча в прямом эфире с Софо Геловани, а также исполнение совместного с ней дуэта, который должен стать сюрпризом для грузинских телезрителей. Помимо Грузии, Эдуард Романюта планирует посетить вечеринки Евровидения в Риге, Амстердаме, Лондоне, а также еще ряд Европейских стран - Сербии, Греции, Македонии, Литвы. Представитель Республики Молдова на конкурсе «Евровидение-2015» Эдуард Романюта нашел время и для встречи с воспитанниками школы-интерната в селе Конгаз (Гагаузия), чем очень порадовал детей и педагогический коллектив. Талантливый певец приехал не с пустыми руками. Привез подарки и подготовил для своих юных поклонников развлекательную программу, 0информирует TRM. Дети свою радость и искреннее удивление не скрывали. Певца они сразу узнали, потому что смотрели национальный отборочный конкурс "Евровидения", но увидеть воочию победителя и пообщаться с ним не ожидали. Эдуард Романюта рассказал своим юным поклонникам, что встреча с ними не случайна. Его отец воспитывался в детском доме и о том, как живется ребятам без родительской ласки и тепла он не раз рассказывал своему сыну. Захотелось посетить такое учреждение, чтобы вызвать улыбку на детских личиках и порадовать их дарами, которые пригодятся им в повседневной жизни. Администрации школы была передана и определенная сумма денежных средств, на которые будут приобретены необходимые детям вещи и предметы быта. Сюрприз удался. Ребятишки искренне порадовались приезду Эдуарда Романюты. «Я подарил школе то, что пригодится ребятам, которые лишены родительской опеки. Это – спортивный инвентарь, посуда, продукты питания. Выбирал вместе со своим отцом. Но больше всего меня поразил их теплый прием. Я рад, что приехал в гости к ним», признался Эдуард Романюта после посещения интерната. Певец Эдуард Романюта, который с композицией "I Want Your Love" представит Молдову на "Евровидении", надеется выиграть конкурс и привезти его в Молдову, сообщает агентство Новости-Молдова. "Главная цель – не просто попасть в финал, а выиграть конкурс и привезти "Евровидение" в Молдову. Первый номер, думаю, поможет достичь этой цели", – заявил исполнитель в четверг на пресс-конференции. По итогам жеребьевки, представитель Молдовы получил первый стартовый номер в полуфинале, который пройдет 19 мая в Вене. "Это честь для меня – открыть юбилейный 60-й песенный конкурс "Евровидение". Нельзя назвать необычным для меня – выступать первым. Так уже было в полуфинале национального отбора этого года. Надеюсь, число один принесет мне успех", – подчеркнул Романюта. "Мы уже начали готовиться, работаю над хореографией, графикой, которая будет на заднем плане. Поедем в Грузию, Армению, Эстонию, Литву, Великобританию, Нидерланды и др. страны. Конечно, проводим много репетиций – днем, ночью. Надеюсь, что мы покажем то, чего до сих пор никто не показывал, но все секреты, пока не раскрою", – добавил исполнитель. По словам певца, с конкурсантами, с которыми ему предстоит выступить в первом полуфинале, он пока не встречался, но уверен, что это произойдет во время запланированного турне. Певец также объявил, что все финансовые расходы, связанные со своим участием в Евровидении и продвижением Молдовы, включая расходы на поездку в Вену и на участие в промтуре, как участника этого международного конкурса, возьмет на себя его команда. Эдуард поблагодарил жителей Молдовы за высказанное ему доверие, отметив, что выстроил "духовный мост" между двумя странами, Украиной и Молдовой, как это предписывает слоган конкурса этого года "Возводя мосты". Представитель Молдовы на Евровидении, Эдуард Романюта, сегодня в Кишиневе снимал открытку, вводный ролик, который будет предварять выступление артиста на конкурсе Евровидение. В этом году идея открыток включает в себя бандероли с особым сюрпризом, которые были разосланы по почте во все участвующие страны. Над съемкой открыток работает три команды телеканала ORF. В Молдову приехал оператор Маттиас Потч, который до этого уже поработал в Беларуси и Азербайджане, и затем направится в Грузию, Россию и Израиль. Каждая открытка длится по 40 секунд, первая ее часть снимается в странах-участницах и длится по 15 секунд, а вторая - длиной в 25 секунд, будет сниматься в Австрии. Специально для съемок молдавской открытки было выбрано месторасположение в старом центре Кишинева, и дверь в дом с особенной архитектурой. Следует отметить, что Эдуард получил, наверное, самую большую по размеру посылку из всех участников конкурса. Вторая часть ролика будет сниматься в Вене в середине апреля. Однако, окончательные идеи открыток держатся организаторами в строгом секрете, и публика сможет познакомиться с ними только во время трансляции полуфинала конкурса. Короткие закулисные видео со съемок открытки Молдовы вы можете увидеть здесь и здесь. Прогуливаясь по центру Кишинева, члены фан-клуба Молдовы на Евровидении, заметили Эдуарда Романюту в ретро-автомобиле - голубой Победе. Сообщается, что в ближайшие дни исполнителя можно будет легко заметить в городе, и фанаты смогут подойти и поддержать исполнителя, сфотографироваться с ним и получить автограф. "Конечно, я не предвидел, что моей победе не обрадуются молдавские артисты. Но есть определенный регламент, и нужно уметь проигрывать. Это сейчас я на первом месте, а до этого в национальном украинском отборе был и на седьмом. Но сложилось так, что в этот раз в Молдове я оказался лучшим", говорит победитель отбора Эдуард Романюта в интервью КП. "Для меня победа оказалась результатом кропотливой работы целой команды профессионалов. Достижение успеха - это не только моя заслуга, но и всех тех, кто работал со мной. И, да, мне все равно, что обо мне говорят — я счастлив, что буду представлять Молдову на "Евровидении"! И сейчас передо мной стоит иная задача — так усовершенствовать свой номер, и отточить все до мелочей, чтобы достойно представить вашу страну в Австрии. Поэтому и сам себе желаю удачи, и мне бы хотелось чувствовать поддержку со стороны молдавских артистов, потому что мы делаем одно общее дело, продвигаем имидж Молдовы за рубежом. Как никак, мы теперь заодно — мы за Молдову! Наши двери открыты в плане советов, в плане корректировок. Мы готовы прислушиваться ко советам профессионалов. Считаю, что нельзя пренебрегать мнением молдавским специалистов. Теперь это мой долг. Выбор зрителей и членов жюри (пусть не всех) пал на меня. И мне хочется, чтобы я оправдал возложенные на меня надежды. Даю слово, что буду стараться изо всех сил! На пределе своих возможностей и даже больше!". Молдавский продюсер Эдуарда Александр Руссу считает поведение молдавских конкурсантов отборочного тура неуважением и истерикой. "Мы не ожидали такого отношения. И я считаю, что это не красит наших артистов, особенно мужчин, которые, как только узнали о победе Эдуарда, при выходе из "грин-рума" сопровождали артиста мычанием: Уу-у-у-у... Кто хотел высказаться, мог смело подойти к артисту, ко мне и говорить на эту тему. Все обвинения - это пустые умозаключения! Я тоже могу задаться вопросом, как так получилось, что у артиста в полуфинале 30, допустим, голосов по итогам СМС-голосвания, а в финале уже 3000: откуда такое увеличение в сто раз? Но я этого не делаю, потому что мне есть чем заниматься. И знаю, что за нашим артистом стоит работа целой команды профессионалов — как из Молдовы, так и Украины. И мы работали все это время, пока молдавские артисты отдыхали. И мы добились узнаваемости артиста. И если в первом полуфинале за нас проголосовали около трех тысяч человек, то в финале их стало в четыре раза больше — 12 тысяч. Но никак не в сто раз! Кто-то в соцсетях написал: Наши артисты занимаются свадьбами, а в промежутках идут на "Евровидение". Я отчасти согласен. Потому что с артистом нужно работать. Это мы и делали, вот получили результат". Эдуард Романюта: Постараюсь не разочаровать вас своим выступлением в Вене. В своем первом эксклюзивном интервью для портала TRM.MD певец прежде всего выразил огромную благодарность членам жюри, которые высоко оценили его конкурсное выступление, и телезрителям, которые поддержали его в процессе голосования. После финала национального отбора ряд его участников негативно высказались в адрес победителя конкурса Эдуарда Романюты. Певца обвинили не только в том, что он победил в Молдове будучи гражданином Украины, но и в том, что будучи новым артистом в стране смог набрать рекордное для национального отбора количество СМС голосов. Накануне финала сразу три подопечных продюсера Сергея Орлова (Лидия Исак, Glam Girls и Sun Stroke Project), заявили, что зрителям не рекомендуется тратить деньги и слать СМС, поскольку, результат телеголосования предрешен. Другим же показалось странным и голосование жюри, поставившее Эдуарда на второе место: так, Эдуард получил 12 баллов от Андрея Савы (на полуфинале 7), Зинуцы Жули, Юрие Бадику, Адриана Белдимана, 10 дал Думитру Миллер (на полуфинале 4), а менее 5 баллов ему поставили Генадие Чобану и Штефан Петраке, как раз не входившие в жюри на полуфинале, и Серж Кино. Каких-то конкретных фактов и доказательств возможных нарушений правил отборочного тура, однако, предъявлено не было, а на пост-шоу члены жюри постарались защитить свой выбор, решив, что после 10 попыток с молдавскими артистами, пришло время дать возможность проявить себя и популярным иностранным исполнителям, желающим защищать цвета Молдовы. Сергей Яловицкий, Sun Stroke Project: "Не представляю, как человек из Украины будет стоять с молдавским флагом и говорить "Я за Молдову"
Дана Маркитан: "Может это постановление “сверху”, поддержать Украину?" Дойница Герман: "Не хочу желать удачи победителю. Я всегда просила справедливости, у нас много и своих хороших певцов"
Серж Кузенков: "Я считаю, что Романюта не певец для евровидения. Голоса куплены! Молдове нечего делать в Европе из-за этого"
Валерия Паша: "Я считаю очень странным, что столько зрителей-молдаван вдруг проголосовали за украинца"
Мисс М (Анастасия Урсу): "Что удивляет меня - так это то, почему жюри проголосовало в финале по другому, выложив все карты в самом конце, чтобы мы выглядели идиотами? Мне очень жаль, что нашу страну так унизили. Очень стыдно"
Паша Парфений: "Так очевидно, что все куплено… Жаль. Мне стыдно. Не столь важно, что он украинец - чем, что все коррумпировано"
С другой стороны, в молдавских СМИ появились и материалы в защиту Украинского исполнителя. Так, порталы locals.md и allfun.md опубликовали статьи в его поддержку: "Правила конкурса не запрещают участия иностранцев. Почему-то в спорте мы не так щепетильны — игроков разных национальностей в сборные покупают у кого на сколько хватает денег. Соблюдение правил было максимально честным: все судьи объявляли и объясняли свои оценки в прямом эфире, а с одного номера нельзя было проголосовать больше 10 раз. Победила молодость, красота и харизма — как и должно быть. У парня 92-го года рождения есть клип с миллионом просмотров на youtube! Cтоит отдать должное пиар-агентам Романюты: билборды по всему городу и активная раскрутка в местных клубах и СМИ. Об остальных участниках и позабыли на фоне пиар-кампании Эдуарда. Многие считают, что все куплено. А может просто не все национальные артисты были подготовлены к соревнованию с иностранными исполнителями, которые серьезно подготовились к выступлению в чужой стране?" Национальный молдавский отбор "O melodie pentru Europa" включает в себя два полуфинала 24го и 26го февраля и финал 28 февраля 2015 года. Ведущие шоу - Эвелина Варлан (1й полуфинал)/Глория Горчаг (2й полуфинал)/Оливия Фуртуна (финал) и Сержиу Безницкий, а Санду Скобиоалэ и Даниела Бабики будут репортерами в гринруме. Прием заявок на участие в отборе проходил с 15 октября по 15 декабря 2014 года. Впервые, правила молдавского отбора не запрещали участие в нем артистам, не имеющим гражданства этой страны. Артисты могли подать в качестве заявок несколько композиций, однако, в случае их прохода в полуфиналы с более чем двумя песнями, должны были оставить лишь одну из них. Всего телекомпания организатор ТВМ получила 68 заявок. Среди них были 24 артиста из 10 зарубежных стран: 7 из Великобритании, по два из России и Италии, по одному из Беларуси, Канады, Кипра, Ирландии, Норвегии, Румынии, Испании и Украины. Из 68 полученных заявок, 17го декабря были объявлены 50 песен, отобранных для участия в живых прослушиваниях. Их выбор осуществлялся на основе таких критериев, как качество мелодии и композиции, вокала, манеры исполнения и оригинальности песен. В число неудачников первой стадии отбора попал белорусский зомби-бэнд Sweet Brains, уже не попавший в отбор в родной Беларуси, еще одни неудачники отбора Швейцарии испанские Threelorex, британка Ребекка Ломас, канадец Нэш Милани, норвежец Кнут Ойвинд-Хаген, гречанка, живущая в Англии Eirini P и постоянный кандидат молдавских отборов - Саша Богнибов, претендовавший на участие с двумя песнями. Среди иностранных участников отбора вышедших во второй тур: Эдуард Романюта из Украины, неудачники отбора в Швейцарии первый поющий трансвестит-мусульманин Великобритании Асифа Лахоре, участница X-Factor Китти Брукнелл, новосибирец Егор Луц и ряд других малоизвестных иностранных исполнителей. Жеребьевка полуфиналов отбора прошла 29 января. Перед национальным отбором все участники принимают участие в программе "Cine vine la noi?" и их интервью вы можете увидеть здесь. 12 артистов выступят в каждом из полуфиналов 24го и 26го февраля 2015 года, в 19.45 (20.45 Москвы) местного времени с эфиром на Moldova 1, Radio Moldova, Radio Moldova Tineret и онлайн на trm.md. Поклонники конкурса также приглашены к участию в онлайн-голосовании, которое не будет влиять на итоговый результат. 7го февраля группа Edict объявила о своем отказе от участия в национальном отборе и была заменена на Анишоару Волынскую. Дизайн сцены национального отбора был представлен 17 февраля. По информации организаторов, на сцене будут использоваться три LED поверхности: одна в качестве задника, вторая для верхней окружности и третья - для подиума сцены. У нее будет ширина в 13 метров, глубина в 10 метров и высота в 0.6 метра. Декорации на сцене могут иметь размеры не более 2.5 метров и вес не более 250 кг. Установка и снятие декораций каждого участника не должно занимать более 40 секунд. 21 и 22 февраля в 15:00, Молодежное Радио Молдова (RMT) организует встречи "Marea Eurovision-eală" с участниками национального отбора, где поклонники смогут встретиться и пообщаться с участниками национального отбора, сфотографироваться с ними и услышать акустические версии их песен. Во время встреч будут также проводиться специальные викторины на знание Евровидения и пр. Ведущие вечеров: Санду Скобиоалэ и Флорин Михайлов. Эфир программ выйдет на радио RMT и онлайн на trm.md.